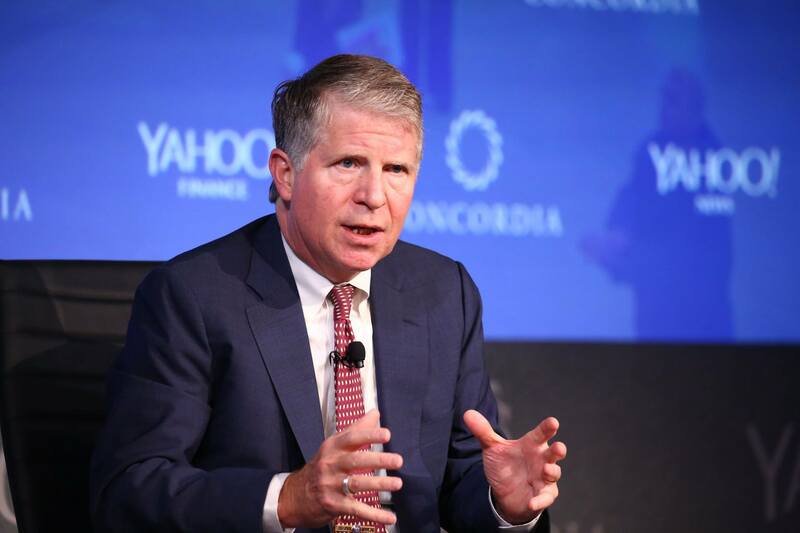 The recommendations were requested by Manhattan District Attorney Cy Vance in October, following public outcry over Vance’s handling of two investigations of wealthy, politically-connected individuals. In both cases -- a 2015 forcible touching charge involving movie producer Harvey Weinstein and a 2012 investigation into business practices of members of the Trump family -- Vance’s office declined to prosecute the cases, and it was later revealed that the potential defendents' lawyers involved in the cases were generous contributors to the Manhattan DA’s re-election campaign. The larger episode spotlighted lax rules around fundraising for New York district attorneys and raised questions about reforms, including whether DAs should accept campaign contributions from defense lawyers at all. As reported by Gotham Gazette, New York’s top prosecutors rely heavily on campaign contributions from criminal defense lawyers who may have cases before their office, but, as county officials, district attorneys are not subject to New York City’s stringent campaign finance rules. CAPI executive director Jennifer Rodgers, a former federal prosecutor, briefed Gotham Gazette on the report, entitled "Raising the Bar: Reducing Conflicts of Interest and Increasing Transparency in District Attorney Campaign Fundraising," before its Monday release. Rodgers said the objective was to minimize the potential for real, perceived, or unconscious bias for district attorneys. “[Currently] there’s no legal restrictions, or even guidance, on having a procedure in place to vet contributions to make sure you are not taking money from people who have an interest in your decision as district attorney,” said Rodgers, in a phone interview. Following a 90-day inquiry initiated by Vance's request, CAPI is offering seven recommendations primarily related to the implementation of a blinding process, and limiting contributions from people who have a personal or professional interest in the decisions of the district attorney. The blinding process outlined in the report is similar to that required by judges in New York State; Rodgers said prosecutors should refrain from personally soliciting money and stay ignorant of who the donors are and how much they have donated. “It’s a pretty clean rule, its not 100 percent airtight…but if in good faith you try not to have access to that information and put controls in place between you and your campaign, that’s one big thing that DAs can do,” she said. The report recommends district attorney campaigns refuse contributions from a party to a matter before the DA’s office -- something many prosecutors already do, according to Rodgers -- as well as targets of investigation. Since refusal of a donation could tip off the person that they are under investigation, CAPI suggests cashing the check and putting it into a second, separate account until the matter becomes public and the campaign can return the money. If the matter never becomes public, CAPI recommends prosecutors donate the money to New York’s IOLA fund, a trust fund for lawyers that uses accumulated interest to provide legal aid for the poor. Addressing the specific criticisms of Vance, and fundraising practices of all district attorneys, CAPI recommends capping contributions at $320 from lawyers with a pending matter before the district attorney’s office, and at $3,850 for partners of lawyers with matters before the district attorney. The figures comes from the city’s “doing business” fundraising restrictions for borough presidents, which, as a countywide office, is most analogous to that of district attorneys. There are five counties and therefore five districit attorneys in New York City; Vance represents New York County, otherwise known as Manhattan. “We thought those were good limits. Those are amounts small enough that it shouldn’t impact anyone’s decision making, and if he is participating in the blinding procedure he wouldn’t know about it anyway,” said Rodgers. Other recommendations relate to setting up a vetting process for contributions, creating additional measures to separate the government office from the campaign, refusing campaign contributions from DA staff and their spouses, requiring donors to certify their eligibility to give funds, and publishing campaign policies. The report is broad enough to apply to all 62 top prosecutors, but whether these recommendations will be adopted by district attorneys across the city and state remains to be seen. In a statement Monday morning, Vance said he will voluntarily adopt the CAPI recommendations. "In its independent report published today, CAPI principally recommends that district attorney candidates (1) apply ‘blind’ fundraising standards, and (2) in the case of incumbent prosecutors, limit contributions from lawyers who represent clients in matters before the office to $320," reads the statement, released by Vance's campaign. "My campaign will meet and exceed these recommendations. Effective today, we have implemented the ‘blinding’ procedure recommended in CAPI's report, which is the same procedure followed by candidates for judicial office in New York State. Also effective today, we will no longer accept contributions – in any amount – from lawyers appearing before our office and will cap contributions from their law partners, consistent with CAPI's recommendation." District Attorneys Association of New York (DAASNY) President Scott McNamara has invited Rodgers to present her findings at the association’s next board of directors meeting, this Thursday, and said he and his colleagues are looking forward to hearing her thoughts. One measure proposed by CAPI that could be relevant to district attorneys statewide is blind fundraising, according to McNamara.“I think that is a terrific idea and it’s something I already do,” he said, noting that he has recently stopped sending thank you notes to contributors. While he had not yet seen the report when he spoke to Gotham Gazette on Friday, McNamara said DAASNY welcomes the recommendations from the experts at CAPI, which could potentially translate into more permanent legislation. Government and legal reform groups who were consulted among others during the review process approved the reforms proposed by CAPI in a statement to Gotham Gazette. "CAPI has provided worthwhile reforms for DA Vance to consider, and we believe the limitations on contributions by lawyers, and the partners of their firms, doing business with the DA are particularly important,” said Alex Camarda, of Reinvent Albany. “We look forward to engaging the DA's Office to determine if these voluntary reforms can serve as a model for permanent change for all District Attorneys." Whether or not Cuomo is indeed being investigated, or will see charges, those brought by Bharara on Thursday are an indictment of a system that the governor has presided over, and one that other leaders in state government have done little to oppose. Cuomo and his administration have continuously responded to reports about corruption in his economic development programs as though they are surprising and have caught them off guard, but the administration has been receiving warnings for years that the system was being abused. Watchdogs have been setting off alarms that the state’s economic development system is ripe for corruption, while the press has consistently reported what appeared to be instances of bid-rigging related to the Buffalo Billion and government favors for donors to Cuomo’s electoral campaigns. All the while, the Cuomo administration has taken the criticism and spun it as attacks on the effectiveness of the investments and on the needy communities they benefit, especially Buffalo. And while the governor did hire an “independent” investigator, Bart Schwartz, to examine and oversee the system last Spring, it was only after the administration was rocked by a storm of subpoenas. Schwartz and his firm can earn up to $450,000 for their work examining the system, a job watchdogs say should have been carried out by the state Legislature, Comptroller, and Attorney General. Schwartz’s office declined to comment on the charges or what his role will be going forward now that the charges have been unveiled. “The real story here is the system is broken. Everything we thought was going on, was going on, and is actually worse than we thought,” said John Kaehny, executive director of Reinvent Albany, a group that has been pushing for major reforms to the state’s economic development systems and greater budget transparency. Kaehny noted that the scandals related to bid-rigging in Buffalo, Syracuse, and Albany involve over $1.5 billion in taxpayer funds. “These indictments shine a light on a broken and corrupt system -- not a few bad apples,” said Kaehny. Hundreds of millions of dollars in state funds flow through opaque non-profits that the state established, a practice that predates Gov. Cuomo but he has expanded. Large sums of cash are approved in the state budget with little debate and the money is given little scrutiny by the Legislature thereafter. The major beneficiary of the alleged malfeasance, besides those charged with unfairly winning contracts and those accused of taking bribes, appears to be the Cuomo campaign. Developers involved in the scandal gave generously to Cuomo around the times they won state economic development contracts. According to Reinvent Albany, three of the executives now charged in bid-rigging schemes are some of Cuomo’s biggest donors. Louis Ciminelli of LP Ciminelli has given Cuomo’s campaign $143,550 in contributions and received over $600 million worth of contracts through state-controlled non-profits. Joe Nicolla of Columbia Development has given Cuomo $320,000 while receiving $190 million in contracts through state-controlled non-profits and Steven Aiello of COR Development has given $338,500 to the Cuomo campaign while receiving $105 million through state-controlled non-profits. Among those charged is Percoco, a childhood friend of Cuomo’s who has followed the governor throughout his various political positions. Percoco was known as the governor’s enforcer when he worked under him in the Capitol and later as a high-pressure fundraiser when he worked for Cuomo’s campaign. He is accused of using his position to take state action on behalf of contractors in exchange for bribes. Alain Kaloyeros, now the former head of SUNY Polytechnic, which has awarded contracts to Buffalo Billion developers, was also charged Thursday. Kaloyeros is charged with bid-rigging. Also charged were developers including Aiello, Ciminelli, and Joseph Gerardi. Bharara’s office also unsealed a guilty plea by Todd Howe, a lobbyist and Cuomo family friend who has faced financial trouble over the years and was advocating for contractors while also overseeing and working with Kaloyeros. Up until very recently the system allowed the state to funnel money to two non-profit entities overseen by SUNY Polytechnic. Those entities issued requests for proposal that in several instances were written specifically to only fit developers that had donated generously to Cuomo’s campaign. Bharara charges that Kaloyeros actually tipped his favorite contractors far in advance of issuing an RFP to give them a leg up. The nonprofits have resisted transparency, only recently opening board meetings to the press. Additionally, the state appears to have been extremely lax in holding recipients of economic development funds to their promises, like how many jobs they plan to deliver or how much a project will cost. Legislative leaders, the comptroller, and attorney general have raised little fuss about an economic development system that appeared to evade standard state contracting procedures by using a complicated system of nonprofits controlled by the State University to award bids and dole out funding. Even with the spectre of Bharara’s investigation hanging overhead, the Legislature made no broad attempts to reform the system, instead mostly deferring to the Cuomo administration. Comptroller Tom DiNapoli’s office raised concerns this year about its ability to audit economic development projects, but DiNapoli has a reputation as being non-confrontational. When an audit of his challenged the effectiveness and oversight of Cuomo’s Excelsior Jobs Program, the administration hit back hard, attacking the competence of DiNapoli’s staff. Cuomo said DiNapoli should “educate” himself and called his audits of economic development's “opinion.” DiNapoli has said he’s not intimidated and that he does his mandated job. Cuomo and the Legislature actually stripped DiNapoli of the ability to review contracts issued by SUNY and CUNY ahead of time, part of creating a secretive system without clear checks and accountability. On Thursday afternoon, Attorney General Eric Schneiderman unveiled bid-rigging charges of his own, these having to do with the construction of dorms near SUNY Albany, against Kaloyeros and Nicolla, of Columbia Development. Kaloyeros has spearheaded economic development programs under Cuomo and routinely appeared by Cuomo’s side for years. According to Schneiderman’s office the investigation took a year and was performed in partnership with the probe by federal agents led by Bharara’s office. Schneiderman accused Kaloyeros, who was the state’s highest paid employee until being suspended without pay on Thursday, of rigging bids to go to developers who in turn directed grants and other benefits to SUNY Polytechnic. Kaloyeros’ compensation package was directly tied to the activity he oversaw at SUNY Polytechnic, therefore he benefited from the bid-rigging. The article attracted attention to Kaloyeros and he later deleted his Facebook profile. Now with the “gory” details of the charges out for all to see, Reinvent Albany is calling on the state to take quick action to fix the system. It wants the state to freeze any new economic development activity by SUNY Poly and its subsidiaries; a phase out of using state-controlled non-profits to oversee economic development funds; a uniform contract process by the state, public authorities, and SUNY; new pay-to-play controls limiting contributions from those doing business with state entities; the creation of a database that reports the details of state subsidies and contracts given to businesses; and restoration of the Comptroller’s ability to review contracts issued by all state entities before they are signed. Asked for a comment on Reinvent Albany's reform suggestions in light of Thursday's charges brought by Bharara, a spokesperson for Gov. Cuomo did not respond. Jennifer Rodgers, executive director of The Center for the Advancement of Public Integrity at Columbia Law School and a former prosecutor who served in Bharara’s office, said that the charges give proof that the state’s economic development system failed. "As shown by the allegations in the indictment, there was a clear failure here in the oversight of the bidding procedures related to these Buffalo Billion projects,” Rodgers said in a statement. “We need greater transparency in these processes and stronger oversight; hopefully this will prevent recurrences of a situation where public funds made their way into the defendant's' pockets instead of being used for the benefit of the people of New York." Former Assembly Speaker Sheldon Silver and former Senate Majority Leader Dean Skelos were each told by their judge during recent prison sentencing that their corrupt actions have increased public cynicism around state government. Their corrupt actions, they were told, make people question what might have been different in the budgets and policy deals they negotiated, government decision-making that impacted millions. Judge Kimba Wood told Skelos we “can’t know” how his budget advocacy would have differed had he not been corrupt. In fact, everything that has come through the state Legislature during Silver’s or Skelos’ tenure is open to questioning based on the facts that we now know they were illegally using their public positions for private gain and that nothing goes through either chamber without its majority leader signing off. In the wake of their convictions, every decision either was involved in could be worth reviewing, not that such an investigation is necessarily warranted or welcome. For years, SIlver and Skelos were two of the “three men in a room” negotiating budget and other deals, approving what legislation came to a vote in their houses and directing policy initiatives. The third man in that equation, Governor Andrew Cuomo, currently faces a vast probe into his administration’s signature economic development program. As Albany grapples with a wave of corruption convictions highlighted by those of Silver and Skelos, it does so with ethics laws negotiated by two men who have now been sentenced in major federal corruption cases and under the watch of an ethics body they not only helped create but appointed members to. 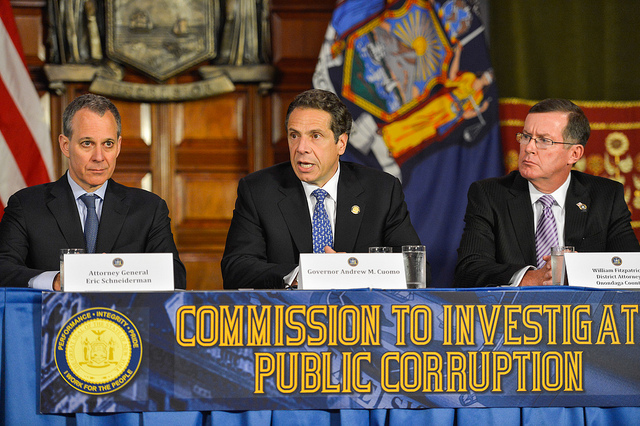 The latest convictions also follow the shutdown of The Moreland Commission on Public Corruption, which was ended prematurely in a deal among Cuomo, Skelos, and Silver. A Siena poll released on the day of Silver’s early May sentencing found 93 percent of New Yorkers think corruption is a major problem for the state and 97 percent want new laws to combat corruption. With 16 lawmakers forced from office due to misconduct in the last six years, the nearly simultaneous downfall of the two legislative leaders, and U.S. Attorney Preet Bharara’s continued insistence that everyone “stay tuned,” the questions arise: How tainted were the budget- and law-making processes? Should decisions engineered and shepherded by corrupt officials stand? Those are questions, according to former Assemblymember Richard Brodsky, currently a Demos scholar, that are in the hands of Governor Cuomo and the Legislature. It is nearly impossible to imagine the governor or lawmakers wanted to revisit decisions made during the tenure of Silver or Skelos to investigate whether certain decisions were made in relation to their scandals. Silver, the long-time Democratic Assembly Speaker known for getting his way in budget deals by holding out longer than anyone else, was convicted of sending government money to a doctor who researched cures for mesothelioma in return for the researcher referring patients to a law firm that in turn paid fees to Silver. Able to tap into opaque pots of discretionary money called State and Municipal Facilities Program funding, Silver quietly funded the doctor’s work. Silver had a similar deal with two real estate firms that moved their business to a law firm that paid Silver in exchange for supporting rent legislation that they backed. At the time of his misdeeds, Silver was considered by some to be tenants’ best hope in negotiations over rent laws as Senate Republicans favored real estate. Tenant advocates now see many of the actions taken by Silver, including renewing controversial tax breaks for developers and his back-room dealings on the extension of rent regulations, as tainted. Skelos, meanwhile was accused of extorting three firms with business before the state to employ his son Adam, who rarely showed up to work and often made problems when he did. Those businesses were real estate firm Glenwood Management; an environmental technologies firm, AbTech Industry, which wanted to earn lucrative state contracts having to do with Hurricane Sandy and hydraulic fracturing; and Physicians Reciprocal Insurers, which gave Adam Skelos a $78,000-a-year job. PRI was hoping for favorable action from Dean Skelos on legislation having to do with medical malpractice. Skelos also benefited from State and Municipal Facilities Program, or SAM, funds. He was able to secure hundreds of millions of dollars in discretionary funding for projects at universities and colleges all over Long Island. In Albany it is rare for major legislation to move independently. Legislative leaders and the Governor generally have two major sets of negotiations a year: early in the year around the budget, especially in the days leading up to the April 1 deadline, and during the post-budget legislative session, especially the days nearing its June end. Budget negotiations are notorious for being sorted out in intense, closed-door meetings by the three leaders while rank-and-file legislators remain mostly in the dark. Items included in negotiations rarely adhere to generally accepted budget issues and allow the governor to trade spending increases or threaten cuts for other policies. In post-budget session, lawmakers usually jam through a “big ugly” deal at the end, again with much secrecy and little time for many legislators or the public to review. With so much opportunity for behind-the-scenes horse-trading it is impossible to know what exactly was influenced by Silver or Skelos, but it is also impossible to rule out that the corrupt practices they were convicted of didn’t color the major deals they oversaw. Laws have been challenged in court due to what plaintiffs charge were improper procedures. The gun control package Cuomo pushed in the wake of the Sandy Hook Elementary School shooting faced a lawsuit over the use of a message of necessity. State law requires bills to age three days before coming to a vote. Cuomo issued a message of necessity, saying that introducing the bills and allowing them to age would lead to a rush on gun stores. Courts withheld Cuomo’s use of the message and have generally deferred to the governors on such matters. The governor has repeatedly used messages of necessity to move budget deals through, giving legislators minimal time to review thousands of pages of bill language before having to vote. “Concerns of disruption and consequences of undoing laws weigh heavily on all of this,” said Professor Benjamin, indicating how unwieldy a review process could be. Even if it were, she said she sees “A huge problem to this notion of trying to undo legislation (even if it is procedurally possible, which I don't know enough to offer an opinion on), which is proving causation." As U.S. Attorney Preet Bharara’s office issues a storm of subpoenas to the administration of Governor Andrew Cuomo and his close associates in relation to the state’s Buffalo Billion economic development program, the governor and his aides have delivered a consistent message: the investigation targets the dealings of a few bad apples, the governor wasn’t aware of any wrongdoing and he wants to get to the bottom of the situation as quickly as possible. The message rings as spin to a number of expert observers who insist Cuomo has long overseen a system that allows, at the very least, for the appearance of pay-to-play to flourish as mini-economies have popped up around the state where connected consultants work with both state government entities and those looking to win state contracts, and where the state funnels money through non-profits, allowing them to avoid scrutiny and standard state contracting procedures. Bharara’s probe appears to have also spurred inquiries into surrounding issues by Attorney General Eric Schneiderman and Comptroller Thomas DiNapoli - all of whom, like Cuomo, are Democrats. It is unclear whether the two men who have been reported to be at the center of the probe - longtime Cuomo aide Joe Percoco and Cuomo family associate and lobbyist Todd Howe - violated the law or how Bharara’s many subpoenas that have targeted the executive chamber, former Cuomo aides, consultants, and businesses involved in the Buffalo Billion all fit together. However, the scope of the investigation and the deep layers of connections between and among some of the players involved makes it fairly clear that the target of Bharara’s investigation is not simply two Cuomo associates. Unlike New York City, New York State has no restrictions on what is referred to as “pay-to-play.” Donors with business before the state are allowed to contribute the same amount as anyone else to a candidate campaign. Meanwhile, the checks that exist on how the state awards contracts have been subverted by the use of non-profit entities that aren’t subject to the same regulations. State Comptroller Tom DiNapoli and other government and budget watchdogs have criticized the proliferation of these entities and called for reform. When acknowledging that investigators are looking into actions by individual actors and decisions that were made by state entities, Cuomo also announced “our own investigation with a private investigator who was from the U.S. attorney’s office originally, Mr. Bart Schwartz.” Though it is being explained differently, the move is seen by some watchdogs as designed only to target specific contracts and not intended to address what they say is a flawed system plagued by the appearance and risk of corruption, if not worse. “The governor is trying to get in front of this issue and is saying a couple of people did something wrong, but the reality is that the entire system is ripe for corruption,” said Ron Deutsch, executive director of The Fiscal Policy Institute, an independent group that analyzes New York fiscal issues. Alphonso David issued a statement just as the New York Daily News broke a story April 29 revealing that Percoco is a target of Bharara’s probe, acknowledging allegations and announcing the independent investigation. The statement wasn’t reassuring for many watchdogs, especially those who have long-criticized the Buffalo Billion program. At least six current or former members of the Cuomo administration have been targeted by subpoenas. The administration has defended some of them. A review of a number of businesses targeted by Bharara’s subpoenas shows that most of them are regular contributors to Cuomo’s campaigns. That leads some observers, including Kaehny, to believe that Bharara is interested in the state’s economic development subsidy programs as a whole. Jennifer Rodgers, formerly of the U.S. Attorney’s office and current executive director of Columbia’s Center for the Advancement of Public Integrity, said she does not believe that is the case. “I wouldn't say the fact that the U.S. Attorney is involved means it is systemic,” said Rodgers. “This is important enough even if it is just two guys who took bribes for grants with their position, and importance makes it a very worthy case to pursue. If I learned two guys were taking all this money and were involved in these subsidies, I would think they were good targets,” said Rodgers. 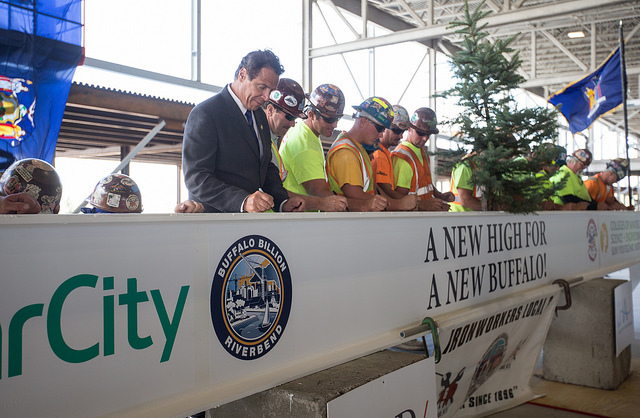 Kaloyeros has overseen much of the Buffalo Billion contracting and has become a major figure in the Cuomo administration as the governor has ramped up his economic development programs. “The issue we have is confidentiality,” Kaloyeros told Gotham Gazette by Facebook messenger last fall when being asked about the Buffalo Billion investigation. “We were instructed in no uncertain terms not to comment on the inquiry from down South with the threat of jail which is being interpreted as we are the target of an investigation. So that part we cannot comment on beyond what we were authorized to say publicly." Gov. Cuomo has distanced himself from Percoco and Howe. Percoco, who has been characterized as a third son to Mario Cuomo, worked at Andrew Cuomo’s side since his days at HUD. Percoco left the administration for part of 2014 to run the governor’s reelection campaign. He later filed income disclosure forms with the Joint Commission on Public Ethics (JCOPE) revealing he received income from two developers with business before the state while managing the governor’s campaign. Todd Howe, the Washington lobbyist who had a relationship with Mario Cuomo and worked for Andrew Cuomo’s 2014 campaign under Percoco, has been involved in steering donations from contractors to Cuomo and attended a fundraiser with Cuomo as recently as December, according to Politico New York, which reported that Howe steered donations from “several development and energy companies” to Cuomo’s reelection campaign. Aside from the red flags sent up by donations and dealings with the air of conflict of interest, watchdog groups say they believe Bharara may be examining the Buffalo Billion because it is clear that up until now on one on the state level has been. 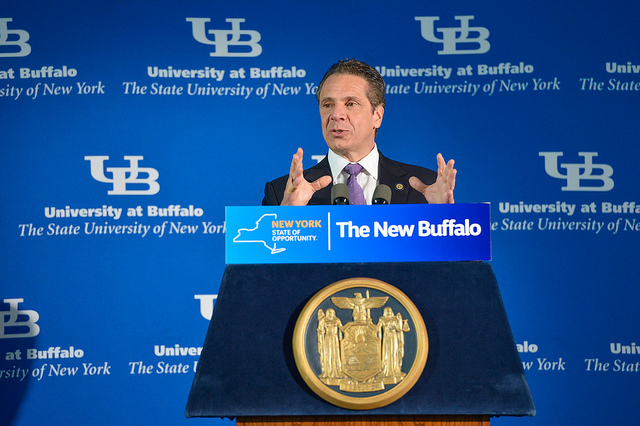 Cuomo and the Legislature crippled the Comptroller’s ability to audit deals made regarding the Buffalo Billion in 2011, DiNapoli and others say, by passing legislation that prevented auditing of SUNY, CUNY, hospital or construction funds. That is important to the Buffalo Billion because the state funnels cash for Buffalo Billion contracts through two non-profits controlled by SUNY. On Wednesday, DiNapoli unveiled a series of proposals to bring more transparency to state spending - a few which would likely impact how the state funds the Buffalo Billion. His plan would ban lump sum appropriations, create a council to plan capital spending, and require economic development program proposals to be scored and ranked in a public database. While calling for his own investigation of the Buffalo Billion, Cuomo has simultaneously downplayed the role of the state’s existing ethics body in preventing possible conflicts of interest. Asked whether JCOPE should have flagged Percoco’s filing that showed him taking income from groups with business before the state, Cuomo told reporters on Tuesday: “JCOPE has proven effective. Can an agency always be more effective? But I don’t think this is about JCOPE. We’re looking at two individuals to see if they’ve done anything improper. The first responsibility lies with that individual.” Cuomo also told reporters that you have to engage in criminality to be a target of JCOPE. JCOPE is able to give administration officials guidance in taking outside work. It is unclear if JCOPE issued such an opinion in the case of Percoco. 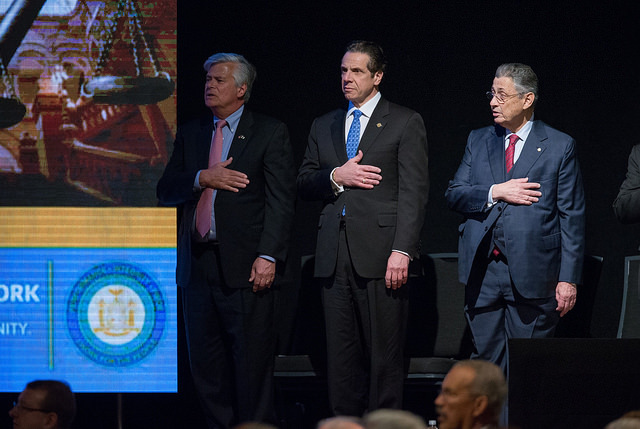 The commission has been headed by a succession of three Cuomo aides since its inception. Seth Agata, the new and third head of the commission, once served as Cuomo’s counsel, where he wrote to JCOPE to ask for clearance for Cuomo to earn hundreds of thousands of dollars to write a memoir for a company that has business before the state. Permission was granted. Cuomo’s creation of an independent investigation is worrying to some because of the governor’s history with independent commissions. “Bart Schwartz is not independent, Alphonso David is not independent, Seth Agata is not independent,” said Kaehny. “The public will not get the truth unless the facts are independently accessed and the governor is incapable of investigating himself. We’ve seen what happens when the governor says ‘Follow the money wherever it may lead’ - as soon as the money brought [the] Moreland [Commission to Investigate Public Corruption] back to the governor and his real estate contributors at REBNY, Cuomo pulled the plug...No one is good at investigating themselves,” said Kaehny.